Noshing With The Nolands Storefront for all your gift giving needs! Do you love to shop online? Who doesn’t? The selection, the comfort of your own home or office, the ease, I can go on and on! Plus it is like Christmas when the truck pulls up and brings you a package to open!! So for those reasons I have created Noshing With The Nolands Storefront. These are items that I have either bought myself or something that I would love to get or give as presents. Fun items, trusted items, things that will add joy to your life. Maybe it is a time saving appliance or a treat to relax with. All of the items are added with thought. Plus this is a great gateway to all that Amazon has to offer. Maybe I have tweaked an idea for you to further investigate, I hope so! 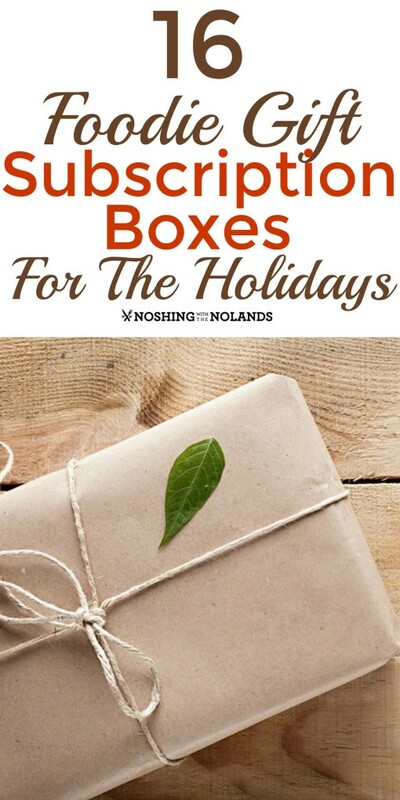 I have also included in this post ideas for DIY Christmas gift giving plus some great gift subscription ideas that I love to give. This has been a fun project to work on and I feel good in offering you many, many products that I love from Noshing With The Nolands Storefront. So grab a cup of Joe and pull up a chair and dive into all that we have to offer you. The first one I created was Great Gifts for Him. This can be the hardest to find. Things that hubby, dad, brother etc. will love and appreciate. I think there is something for everyone here. Have a browse around, check out items, get ideas and then have the ease of the gifts coming right to your door. 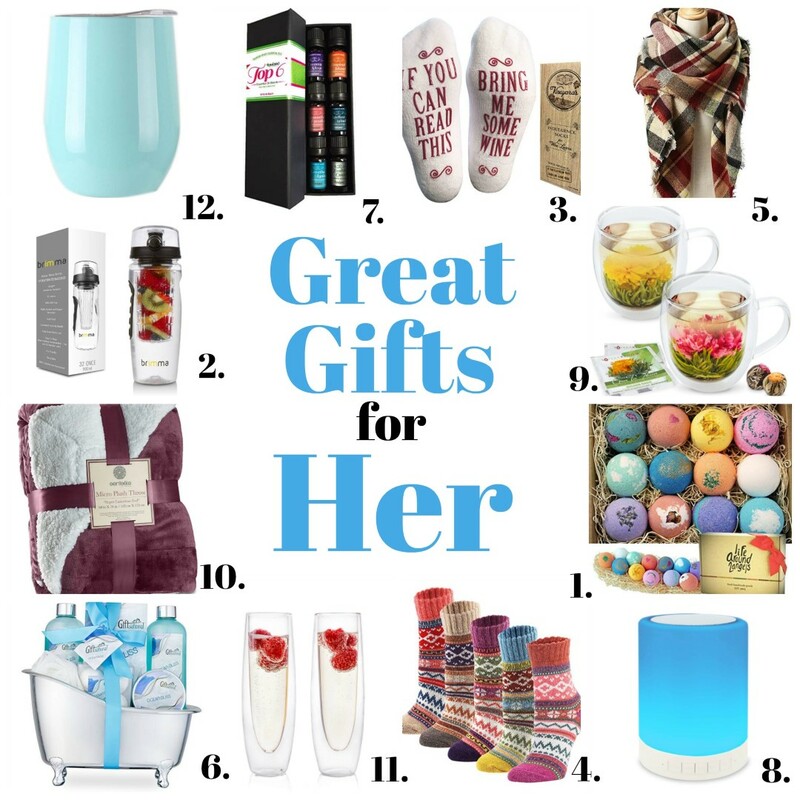 Next up are Great Gifts for Her to be pampered in everyway possible. Those are the most appreciated gifts that you can give a mom, sister, daughter or friend. For me I would love any of these wonderful gifts!! Gift giving shows people how much you care and appreciate all that they do all year long. Make it a thoughtful purchase and one that she will love. Great Stocking Stuffers for Kids are sometimes hard to find but keep it simple and fun!! Treats, toys, books are always welcomed in stockings. For me this was my favorite part of Christmas and I was busting when I woke up on Christmas morning to get to that stocking as fast as I could. Here is a post I did last year for 16 Foodie Gift Subscription Boxes for the Holidays. Some of these I have purchased myself and love them, especially the Taste Box. Have a look, great fun ideas!! Another favorite of mine is spirits from Eau Claire Distillery. This makes a great gift for the bartender in your life. 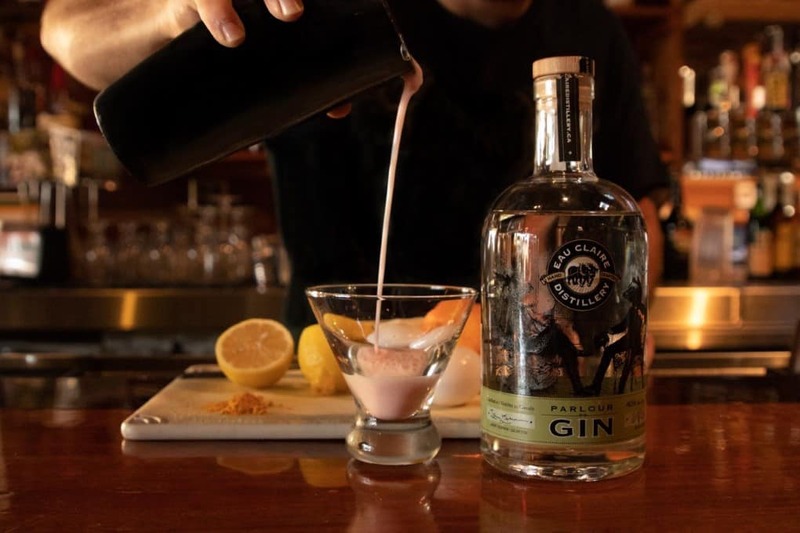 Award-winning craft spirits from Canada’s premier farm-to-glass distillery are now available in select states including California, Florida, New York and Illinois. Lastly do you love to make your own gifts? 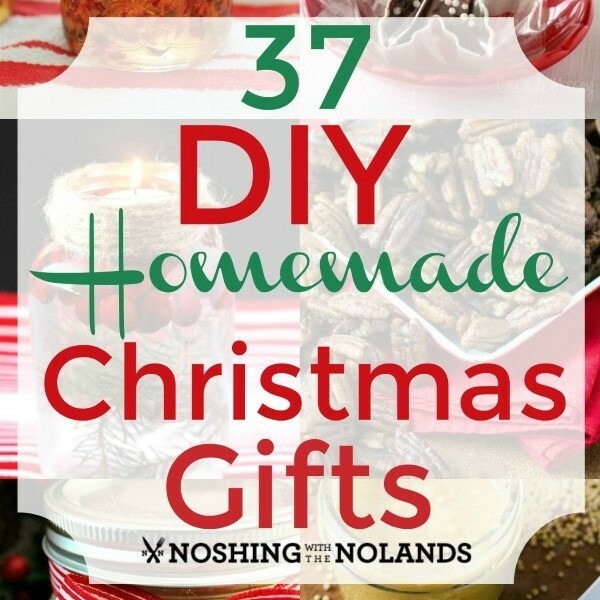 I have for you 37 DIY Homemade Christmas Gifts that will round out all your holiday needs for gift giving. There are sweet and savory treats plus beverages, spreads, scrubs, candles and more! So many great homemade gift ideas for you to enjoy making and giving!! I would like to wish all of you a very Merry Christmas and Happy Holiday Season!! You have SO many great ideas here! I haven’t even started my Christmas shopping so this will help me a lot! Wow, I have never heard of the site you mentioned! I see several gifts I’d like to buy and I love the socks so much!!! 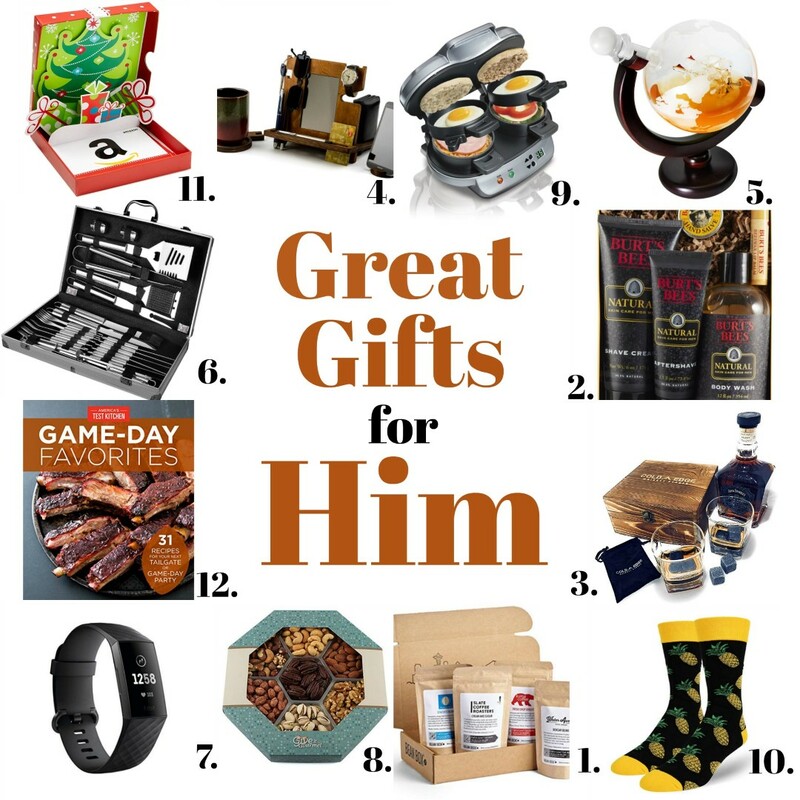 The “gifts for him” recommendations are looking good. I always have the hardest time finding things for guys. I love how the internet is loaded with great gift ideas you cant always find in stores. I am alll about beauty finds, and good foods! Those pineapple socks look cozy and colorful. I love seeing everyone’s suggestions, makes my shoppin easier! There are so many fun ideas! 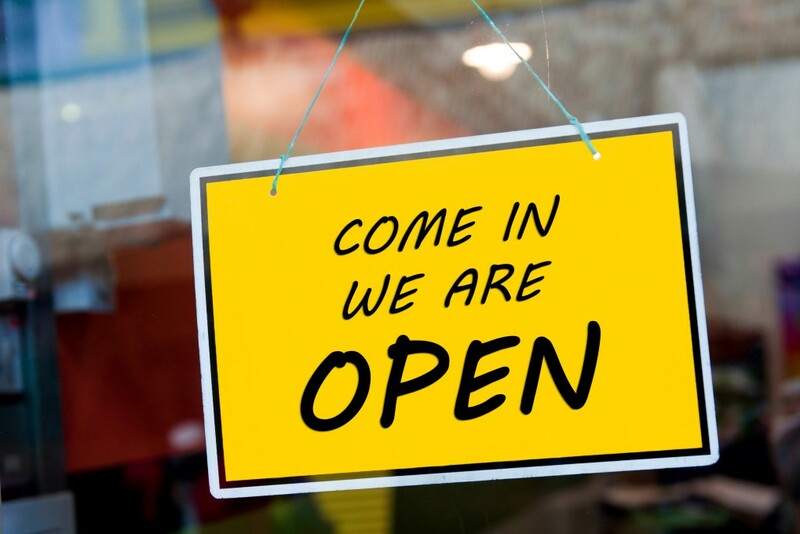 I need to finish my shopping and your storefront and gift ideas will definitely help! Such great ideas! I have just a few on my list that I have left to buy for. I think I know what to get now. I love online shopping. It makes my life easier! It saves time and a lot of money! You have so many cool gift ideas here! I’m almost done Christmas shopping, but will use some of your ideas to wrap it up! Those ladies socks are definitley going to be in my stocking this year. I need to look at the first #3. Cold edge. I have to buy for my brother this year and I have no idea what to get! So many awesome suggestions to choose from! 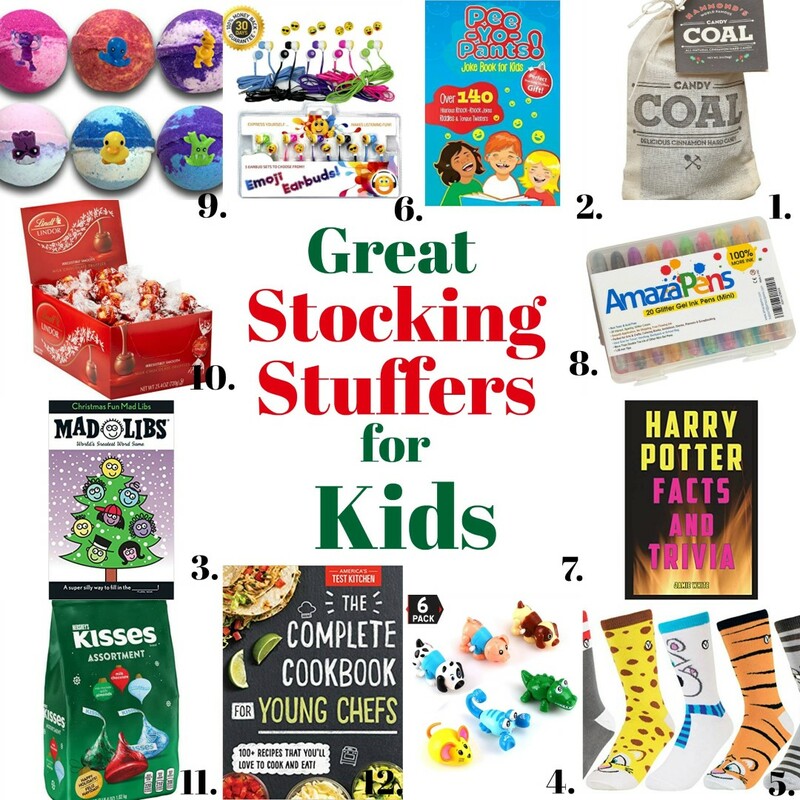 My kiddos would love to get those bath bombs in their stockings this year – so cute!